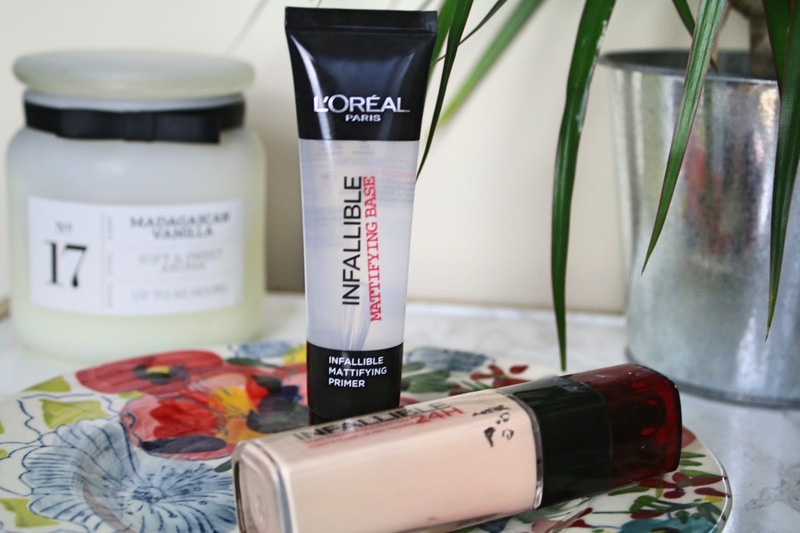 If anyone asks me what my favourite drugstore brand is, it's always L'oreal. Predominately for their mascaras and eyeliners. However, I know that they're notorious for their true match foundations. Sadly, I couldn't test the ones which I thought could be my shade, so I'd thought I'd try out the infallible one instead (You know, the one with the MASS blogger marketing campaign) as well as the mattifying primer too. I picked up the shade Porcelain, which I believe is the lightest. I've had a look at both boots and Superdrug and I have to say I am really disappointed with the shade range. There appears to be a real lack of darker shades which is a shame considering that L'oreal made a real big deal about how they wanted their make up to be for everyone in their true match campaign. It's certainly a very affordable foundation, I got mine from ASDA and I believe it was only £7 introductory cost at the time. 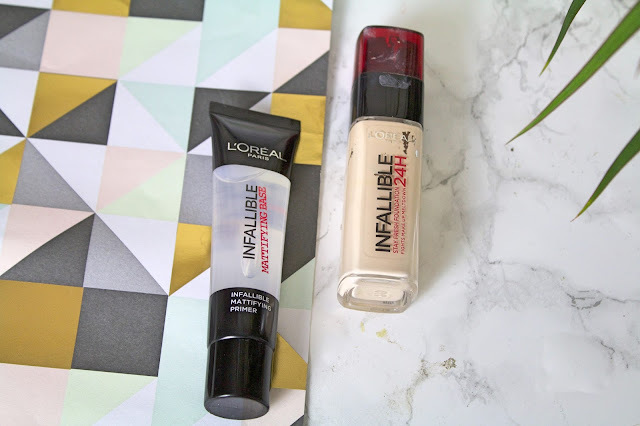 Usually L'oreal isn't the cheapest drugstore brans on the highstreet but this product certainly seems to be on their lower price range of foundations, and unfortunately I see why. There is no doubt that this a full coverage and long lasting foundation. However, it has all the qualities that drug store foundations usually have with this. 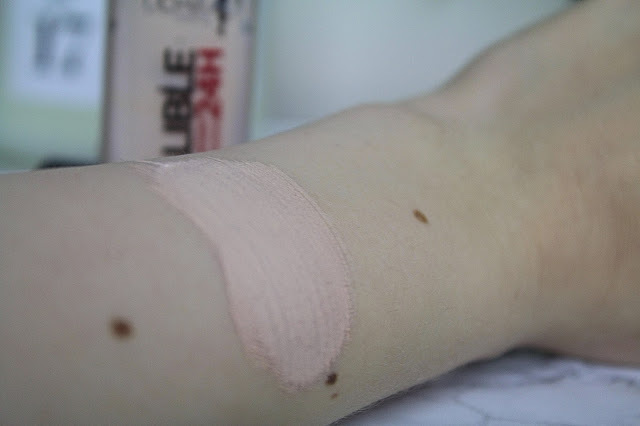 It's thick and feels heavy but in a way that I feel it's really covering my skin and not working with it. It's pretty cakey. If you have any thin lines or any flaws it will cling to it. It just feels really cheap on the skin and is quite difficult to remove- it started to break me out too! 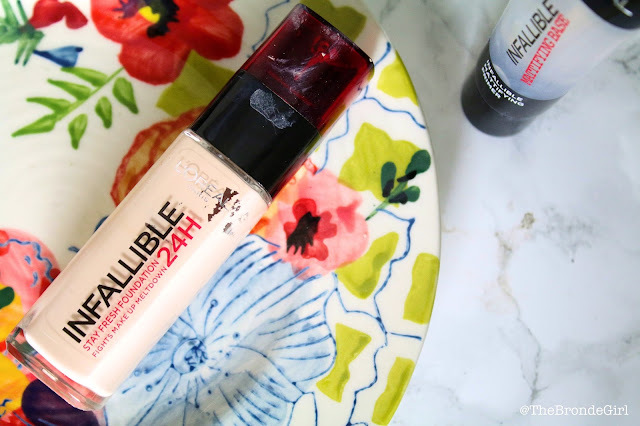 I won't be repurchasing this foundation- it's just not right for my skin but I will be mixing it in with other foundations to lighten them and give more coverage. This primer has already gone out of my life. I feel like it does absolutely nothing except make my skin feel greasy. It does not balance my oils in this slightest and I notice no difference in my make up with it... except I think it doesn't apply as easily. I'm sorry this is a short review but I haven't really got anything else to say about it! 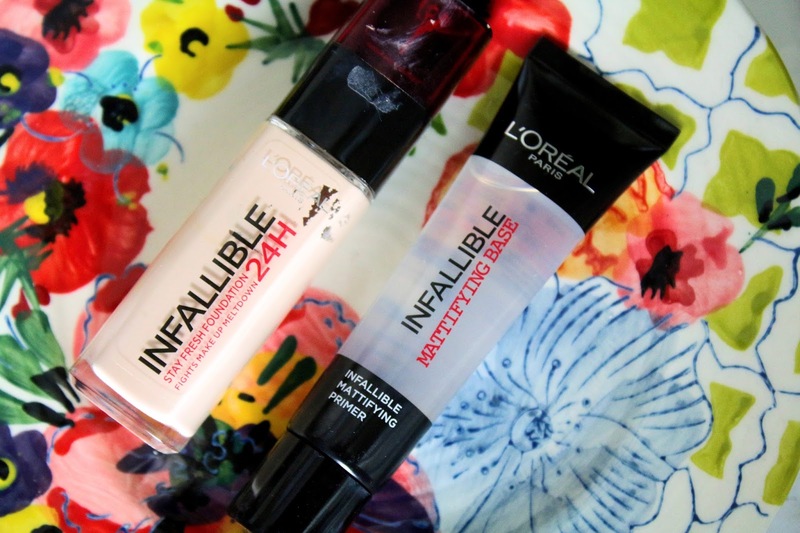 Overall not a great pairing by L'oreal, one of their few misses.